The Girls carrying oil lamps are making an offering of their dancing skills to the Guardian Deities. A dance sequence performed for genaral immunity from EVIL INFLUENCES as well as for healing specific ailments. The girls depict the graceful movements of the peacock which according to mythology is the bird that transports skanda. The name of the dance, is derived from the musical instruments used, the PANTHERU, which is close akin to the tambourine. A South Sri Lanka MASK dance with the raksha masks symbolising the fight between a COBRA AND A BIRD. A dance popular in the all parts of the country, particulary during festivals in which borth male and female dancers participate. A traditional folk dance which uses the Raban, an Instrument similar to the DRUM. A South Ceylon fire dance showing the POWER OF CHARMS over fire and twenty seven devils that can trouble mankind. The dance in the most important in the KANDYAN DANCE FORM. VES is the traditional attire of the KANDYAN DANCER. A traditional folk dance performed by village DAMSELS to celebrate a rich harvest. The orchestra has five categories of traditional instruments, which are usually played three time a day in places of worship as a TRIBUTE TO LORD BUDDHA. The devotees who perform fire walking seek the DIVINE BLESSINGS OF LOARD KATARAGAMA AND GODDESS Pattini before they do so. The E.W Balasuriya store is a destination in itself. Set in the picturesque hill capital of Kandy, the store takes you on a sublime journey, where you will learn everything you need to know about gems and jewellery. Having been in the business for more than 30 years, our passion and excellence towards the field of Jewellery & Design has reached new heights. Making Jewellery is only half of what we do. Here at E.W. Balasuriya we make sure that when you purchase a piece from us, that you take home your own personal trinket, a story, a heirloom, that will grow in value, beauty and artistry as the years go by. Whether you are looking for the perfect gift for someone special, searching for a new favourite to add to your personal collection or choosing a wedding ring to compliment your engagement ring, you'll be inspired by our collection. In case you have a unique design in mind, our experienced staff will assist you in designing that specific piece of jewellery to suit your own style and budget. Your journey will begin at the gem mine. Complete with life-like models and ambient sound effects, the mine will help you understand the effort and extent of labour that is required, in the quest to find the gem stones. See natural gems in their original crystal forms, placed among antiques and artefacts in our cave-like museum. You can see how the gems are first found in the mines in crystal, fragment or pebble form. Some are as small as a pin head and some weigh several kilograms and they come in all kinds of shapes, colours and qualities. The modern showroom contains a wide variety of gems, colours, colour combinations, cuts, shapes and sizes. All are products of nature, cut and polished by the best of lapidarists. Look around to see all kinds of exquisite jewellery – rings, earrings, pendants, necklaces, brooches, bracelets, tie-pins…..all of them set with natural gemstones. 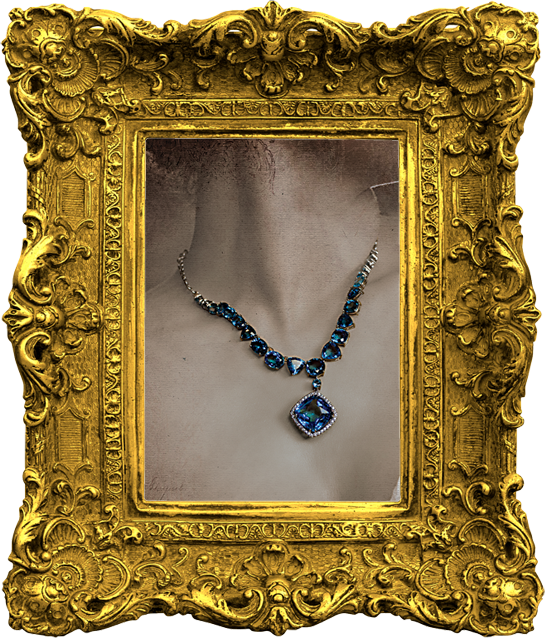 The salespersons will help you to find the gem or the jewellery item, that you always wanted to own. You will be happy to be there! There is a roof-top restaurant which gives a breath-taking view of the knuckles mountain range, Mahaweli river and the Udawattakalle forest reserve, the largest that any city has in the world.